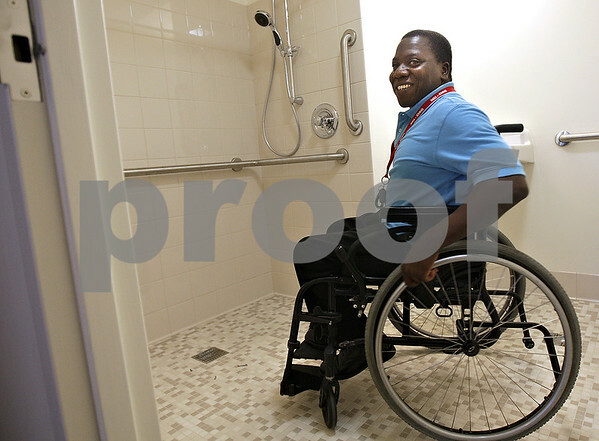 Houndsro Adjegan, a resident since 2010, takes a peek at a newly renovated ADA compliant room in the Golden Years Plaza in DeKalb on Thursday, August 8, 2013. The DeKalb Housing Authority is wrapping up a two-year $2 million project to renovate Golden Years Plaza and various equipment. Adjegan will be moving into one of these newly renovated rooms in less than two weeks.